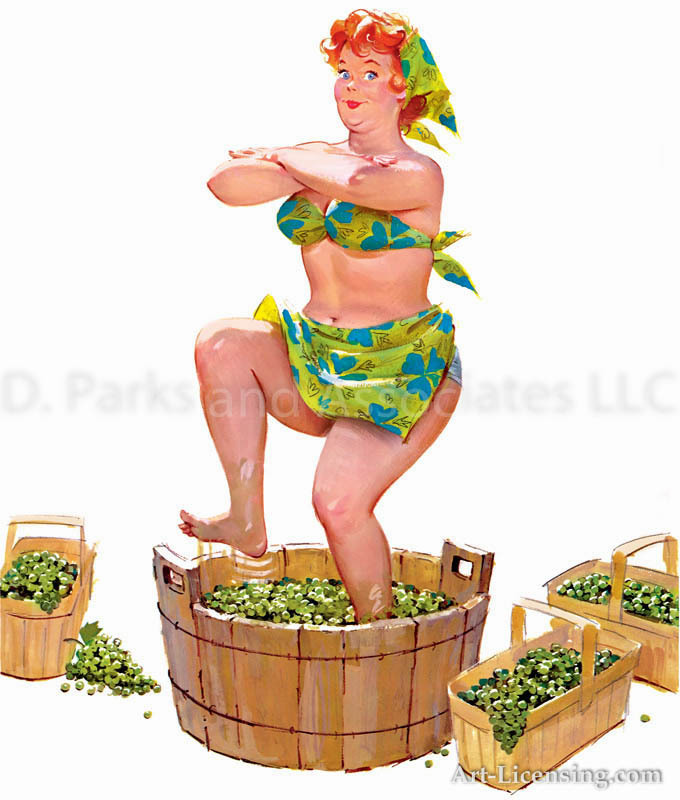 The appeal of the pleasingly plump Hilda is in her innocent charm, her contagious smile and happy personality that blossoms all over to match her figure. 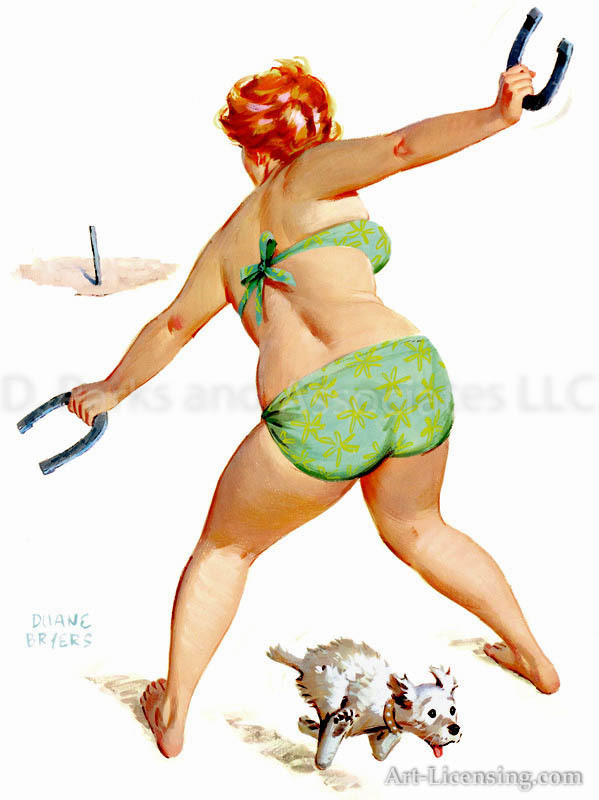 Hilda’s fun-loving, full-figured character doesn’t worry too much about her waistline and enjoys life to the fullest. 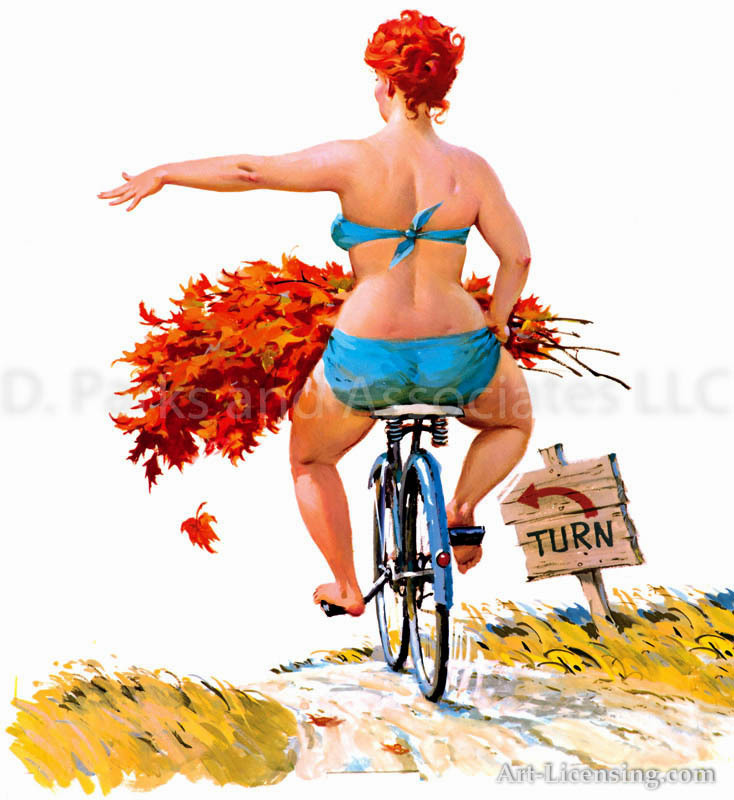 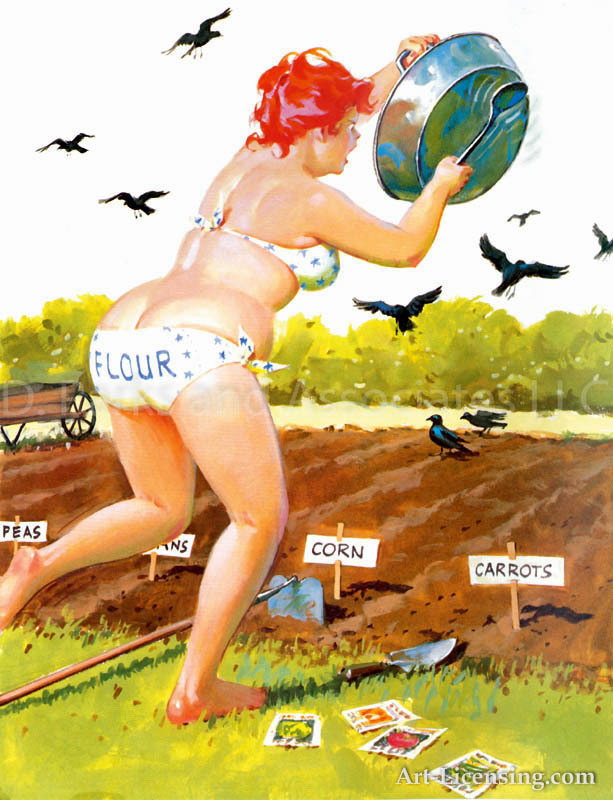 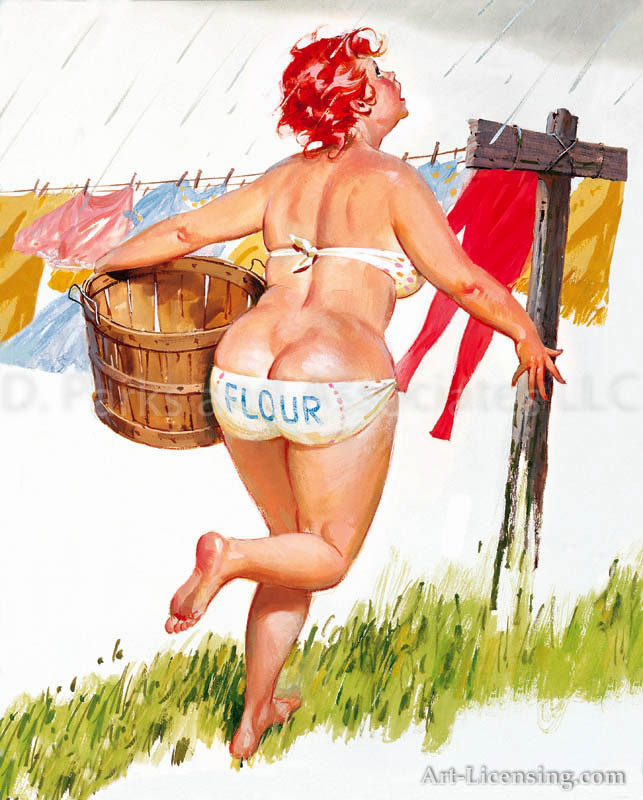 Created by Brown & Bigelow artist, Duane Bryers, Hilda is a refreshing and humorous approach to the typical girl calendar subject. 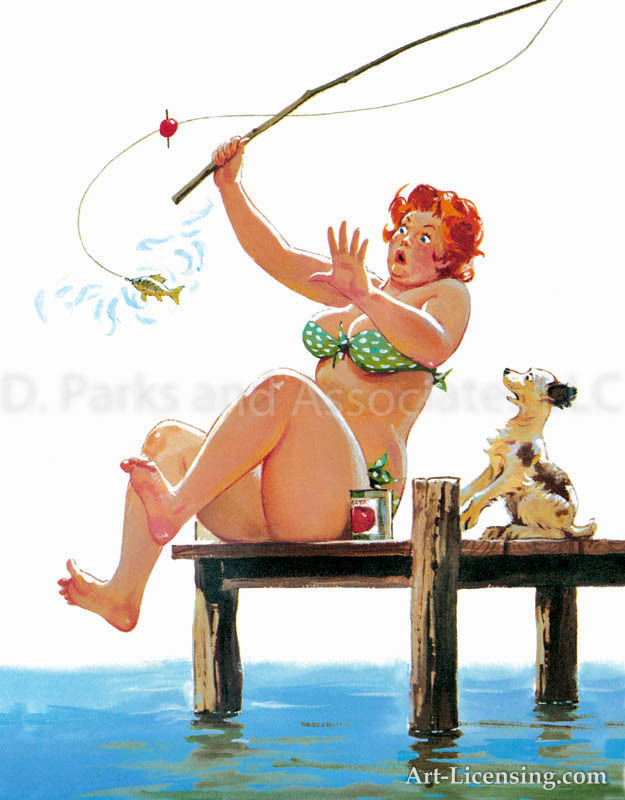 The fun and vivacious redhead always finds herself in humorous predicaments. 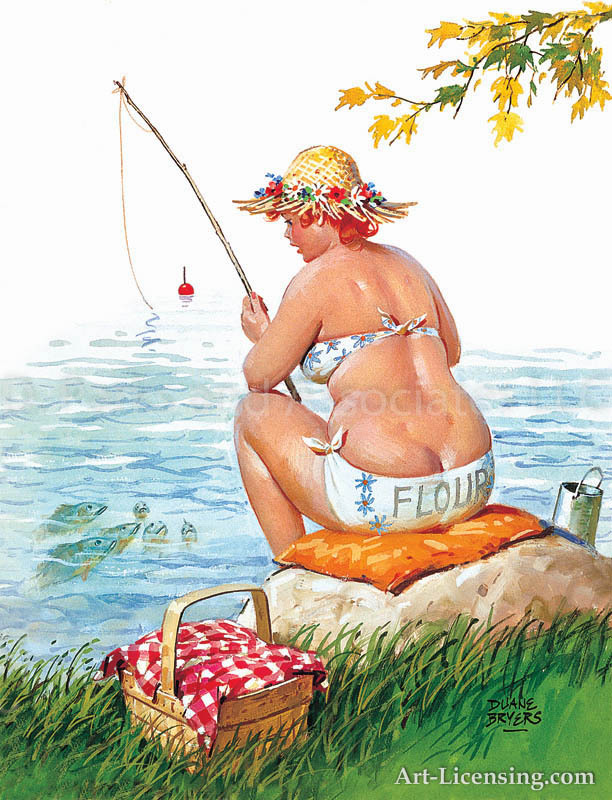 The versatile artistry of Bryers is beautifully illustrated in his outstanding Western Art paintings but it is his flair for the whimsical, pleasingly plump, Hilda that brought him national recognition. 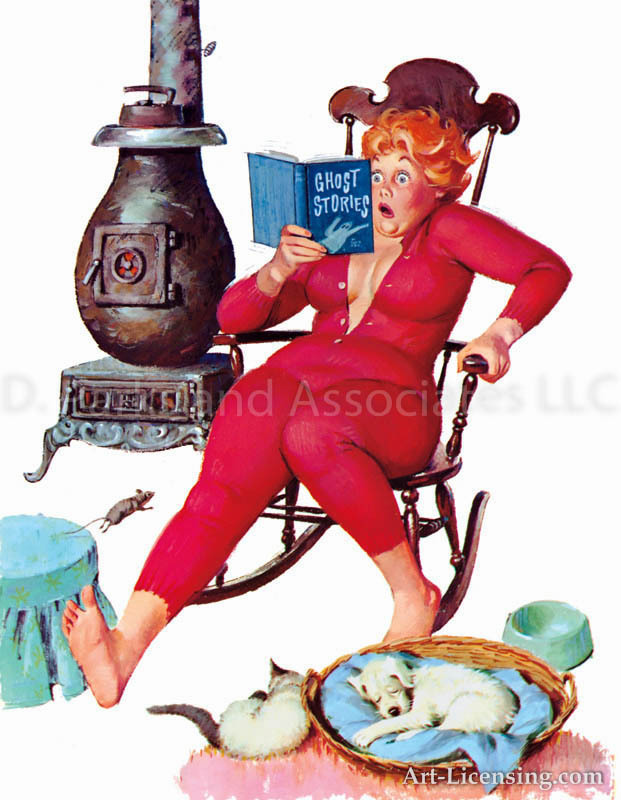 Duane Bryers was born in 1911. 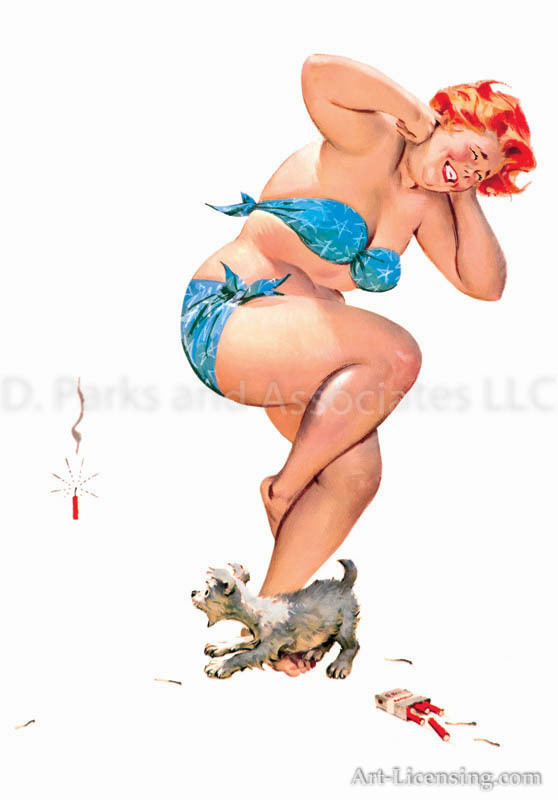 Originally from the Midwest, Bryers spent much of his life working as an artist throughout the United States: New York, Chicago, Connecticut and Arizona. 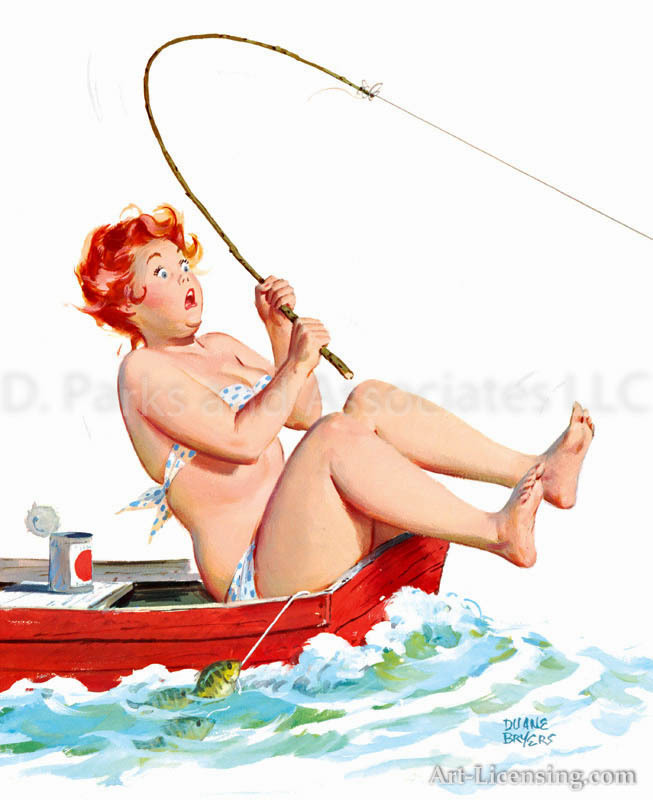 Duane Bryers just passed away in 2012. 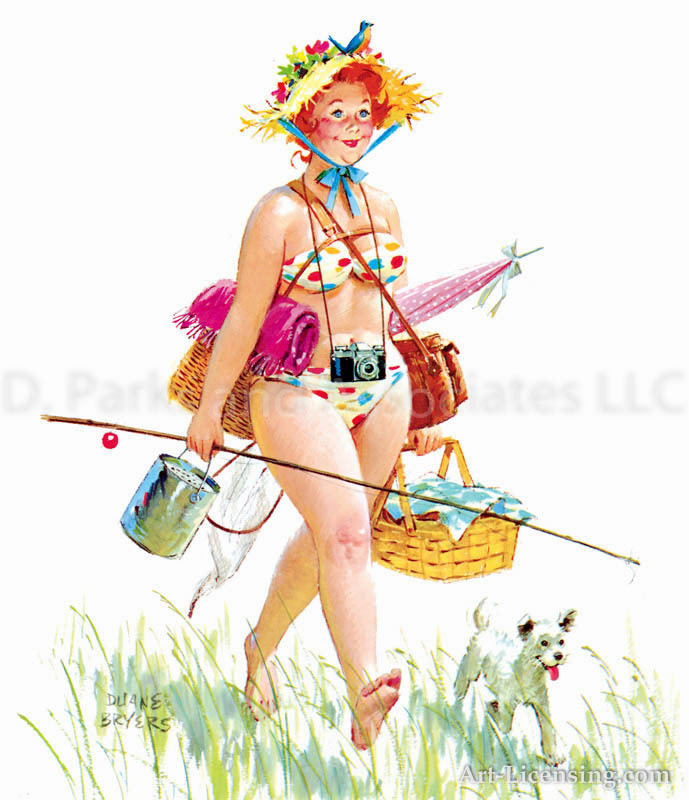 He will always be remembered for his delightful “Hilda” paintings featured on Brown & Bigelow calendars for more than 30 years. 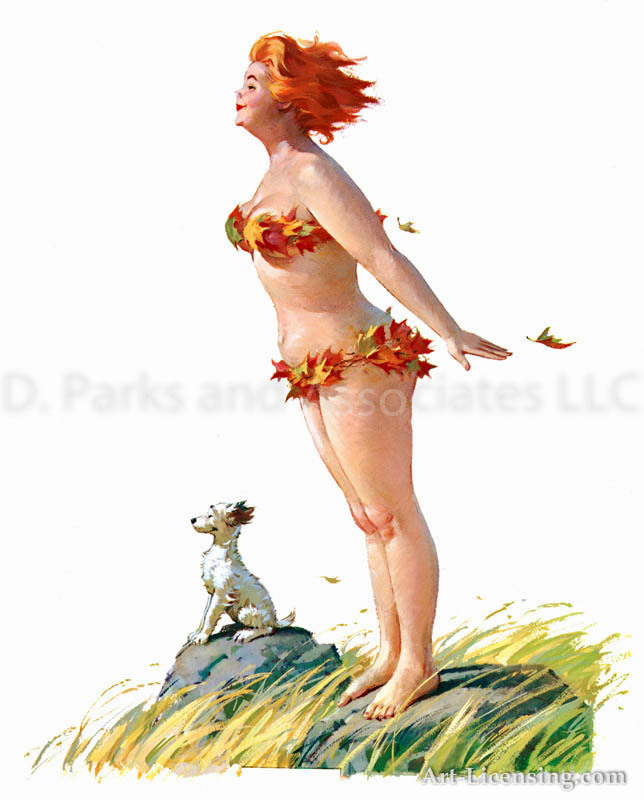 Bryers is also known for his popular western and “boy and dog” paintings. 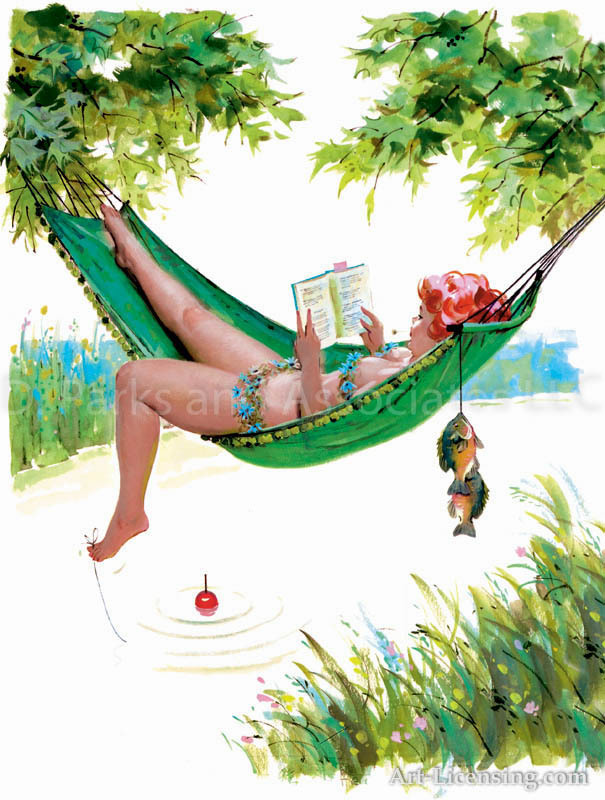 Through a deep understanding of human nature, he makes experiences live again in colorful, often humorous paintings that bring back memories for many of us to enjoy. 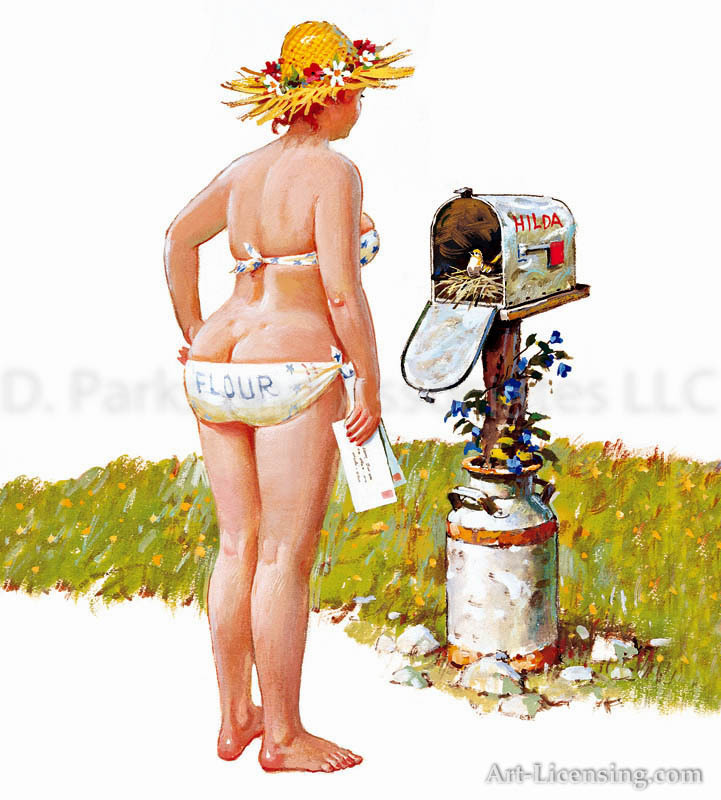 CLICK HERE to learn more about opportunities for Duane Bryer’s artworks. 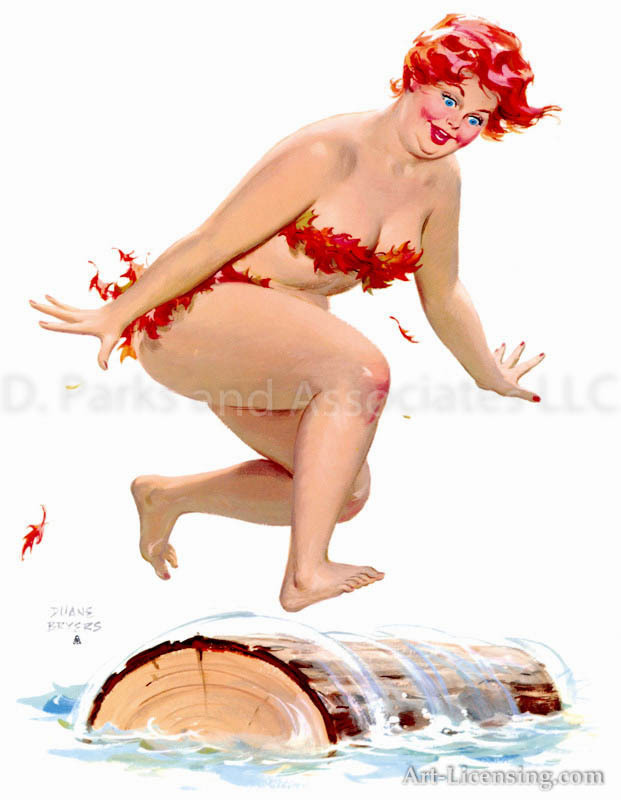 © 2016 Brown & Bigelow, Inc. / Licensed by D. Parks and Associates LLC, ALL RIGHTS RESERVED.